The use of Excel is debated within large organizations that use ERP systems: some IT directors are strongly anti-Excel because of the potential of errors and islands of information it might create, but practically, and because the world of data processing is not perfect, more than 90% of companies use Excel extensively for data calculations. Consolidating financial reports from different divisions. Consolidating sales reports from different systems which could be different companies using the same ERP system or companies on different systems. Creating a consolidated report from a set of reports that each cover a certain period, region or a certain dimension. This is a great way to create drill-down data without the need to rewrite already existing canned reports. To help companies that have a need to do consolidation of ERP-related data in Excel, a new feature was added to B2Win Suite 2.9 to allow output from your ERP system to be generated inside a pre-existing Excel file or template that is stored on a company shared folder. 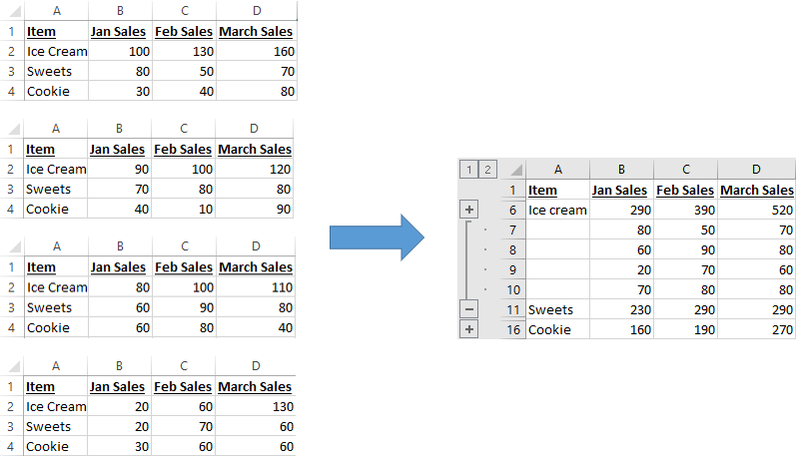 This feature will allow different jobs to push fresh ERP data to different sheets in an Excel file, while a static sheet will include formulas for consolidation of all data. To share with us your consolidation challenge or to see a demo of B2Win 2.9, please let us know. Bader held several positions in the ERP arena, in Israel, the Silicon Valley and the Boston Area, as IT manager, Senior Consultant and Product Architect. He founded NAZDAQ in 1999 and acts as its president since then. He holds a B.Sc. in Computer Science (1991) and an MBA (2001) from Technion – Israel Institute of Technology in Haifa.